TOTAL Residential has knowledge and experience that could only be gained from doing high-quality work for decades. Learn more about our process. It’s not just our name. It describes our capabilities and our commitment to our residential customers. Since 1968, we’ve been committed to providing essential contracting services to specify, install, service and maintain efficient and comfortable residential environments. We’re your one-stop shop for all home comfort systems and services—heating, cooling, plumbing, electrical and fire protection—a single-source residential contractor. We specialize in all types of residential work, including new construction, remodeling, repairs and emergency service. In addition, as TOTAL Mechanical, we’re your one-stop shop for all mission-critical mechanical contracting systems and services—HVAC, plumbing, electrical, fire protection, industrial, building automation and fabrication services—a single-source, design/build mechanical contractor on any size commercial building project. Your home is your castle, but it shouldn’t feel like one—damp, drafty and cold. 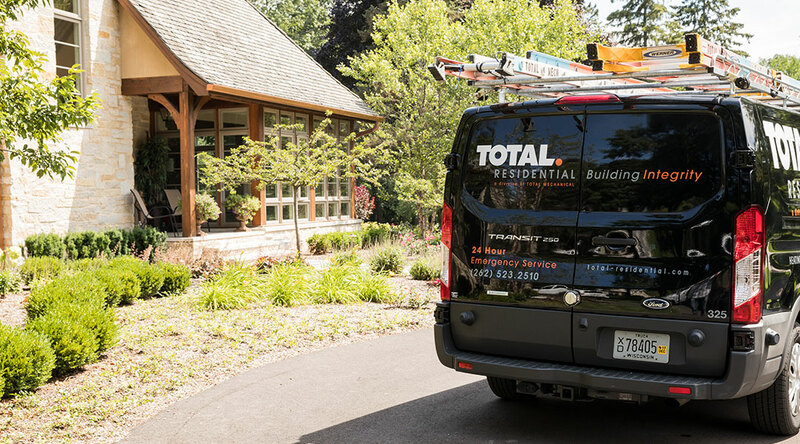 At TOTAL, we approach every project with a commitment to you, our customer, to plan for your investment in comfort-critical home systems. We specify the most effective and efficient systems for your home environment, installing and maintaining them to operate at optimum performance, providing comfort and peace-of-mind. Our services, including our 24-hour emergency service, extend to Milwaukee, Waukesha, Jefferson, Walworth, Racine, Kenosha, Washington and Ozaukee Counties in southeastern Wisconsin. Building Integrity is our brand promise. It describes your home’s mechanical systems working in harmony, as well as the commitment we bring to every relationship. As a home owner, you’re interested in a dependable relationship with a contractor to address all of your critical home comfort systems. We assume TOTAL responsibility as your single point-of-contact for all of your residential comfort systems, coordinating all project details from start to finish, with a 100% customer satisfaction guarantee. As a result of our high standards, we warranty our service and repairs for one year—more than double the industry standard. Residential customers consistently give our plumbers, electricians and heating and cooling technicians the highest possible ratings with the Better Business Bureau and other popular consumer review websites and social media. Delivering on expectations. 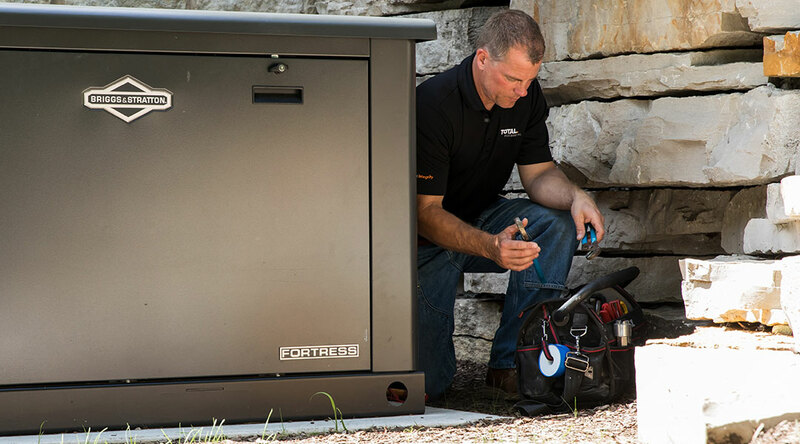 As one of the largest locally-owned home comfort contractors in southeast Wisconsin, we provide a TOTAL experience—the horsepower and capability to provide complete residential contracting services on any size project, small to large. As a single point of contact, a single truck is in your driveway and a single source is responsible for coordinating all details. It allows us to complete our work on-time and on-budget, with minimal disruption to your life. Up-to-date on state-of-the-art. Your investment in residential home comfort systems demands our investment in education and training. At TOTAL, we created TOTAL Comfort University—an interdisciplinary, comprehensive, in-house training program designed to keep our employees current. TOTAL University supports our employees at the level required to specify, install and maintain today’s increasingly sophisticated technologies. Safety from day one. The welfare and safety of our skilled craftsmen, and all partners on a home project, begins long before the work begins. TOTAL insists on strict adherence to our comprehensive safety program. At TOTAL Comfort University, new employees attend a rigorous safety orientation before setting foot in your home. Neatness counts inside and out. Our skilled technicians have total respect for your home and property, taking the necessary steps to insure that they leave your property with no evidence that they’ve been there, beyond successfully addressing your needs. From wearing protective footwear and putting down flooring protection on the inside of your home, to clearing any mess we’ve made on the outside, we leave your property as neat and clean as we found it. Our service ethic comes naturally. Customer service is usually mentioned as a priority for many businesses, including residential contractors. At TOTAL, we’ve built our reputation on it, resulting in peace-of-mind for you, our customer. 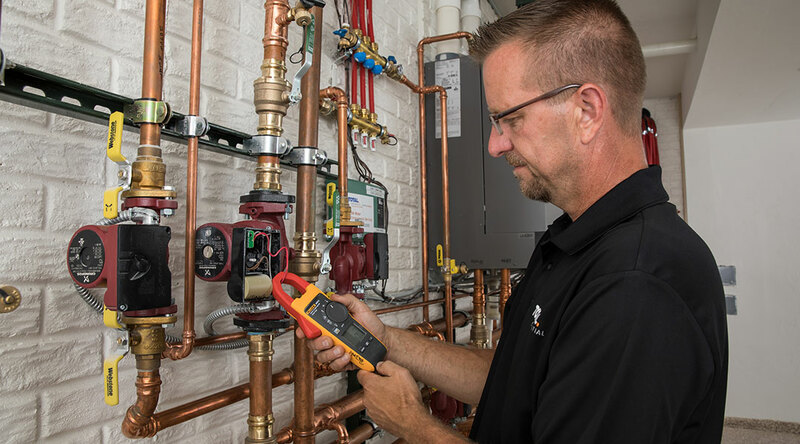 As we serve our residential customers, our preventive maintenance program enables us to analyze your home comfort systems to prevent problems before they occur. Our continuing education curriculum at TOTAL Comfort University ensures our certified technicians are among the most knowledgeable in the industry. Our service leadership at TOTAL includes quick and easy online scheduling of services. Our certified technicians are available 24/7. We’re TOTAL 365 days/year. For EMERGENCY SERVICE, please call 262-523-2510 to reach our 24/7 service department. Our normal business hours are M-F, 7am – 5pm.